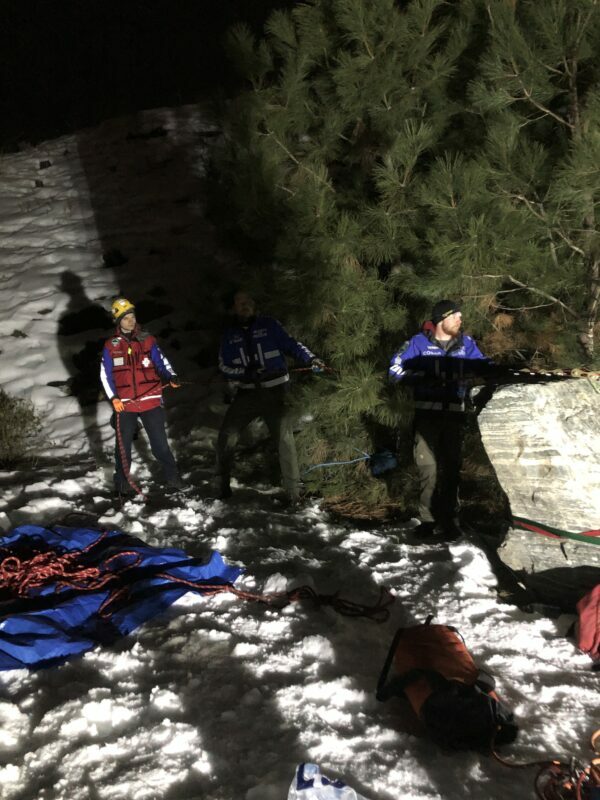 At approximately 7pm on Saturday, March 16, Central Okanagan Search and Rescue was called out to support Kelowna Fire Department’s rope team for a high angle rope rescue at Canyon Falls. 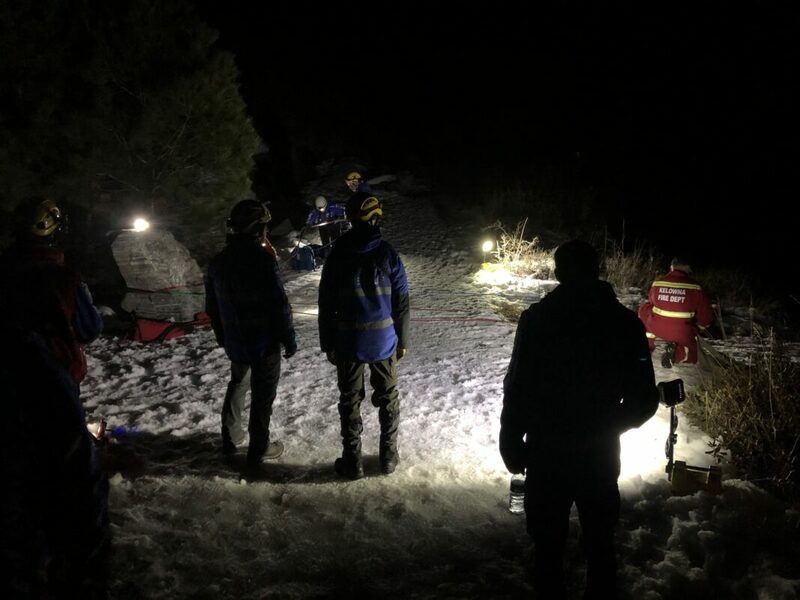 The subject had been hiking in the canyon and sustained injuries from a fall. 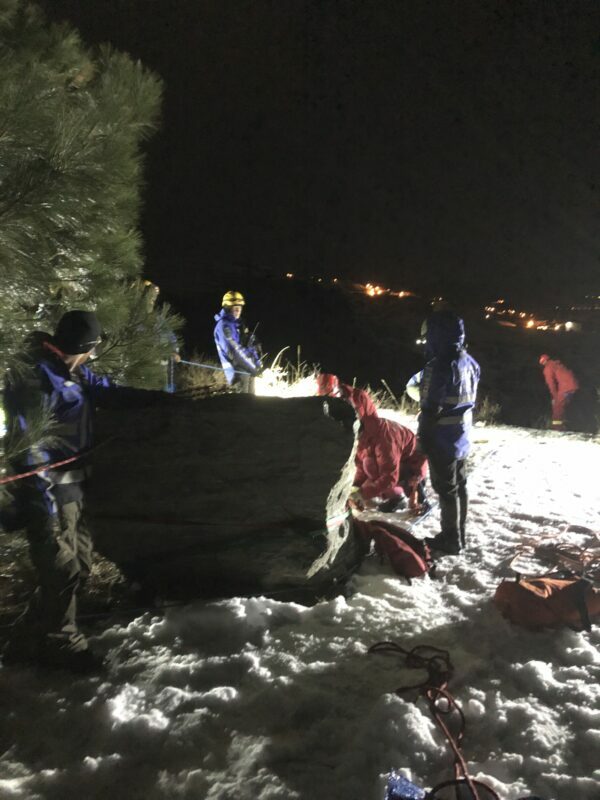 Due to the location and conditions, the best option to extract the subject was up the side of the canyon by the combined high angle rope team. 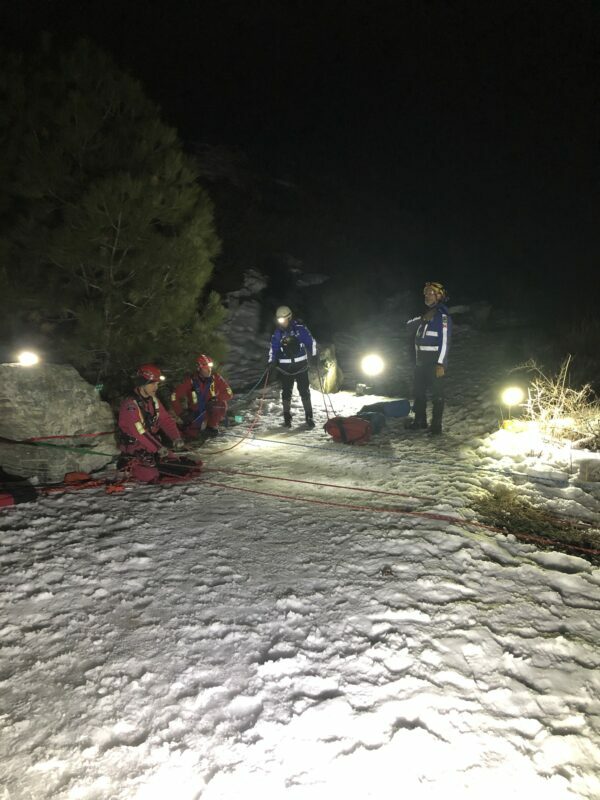 Once the subject was safely brought to the top of the canyon, they were handed off to B.C. Ambulance Service for evaluation.